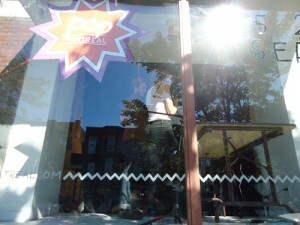 Kids POP is the kid-focused part of POP Montreal. 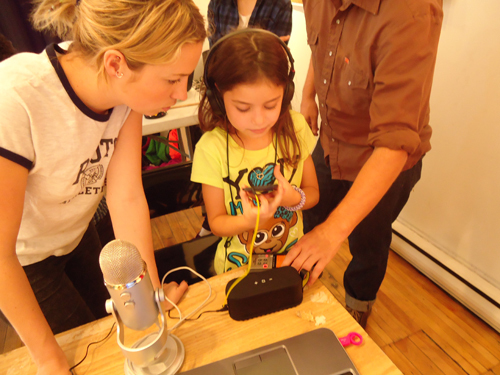 On September 28, 2013, the Digital Literary Project gave a free workshop “Record Yourself!” at Espace POP. We designed a workshop that helped the participants gain skills and confidence with digital recording tools in a fun environment. 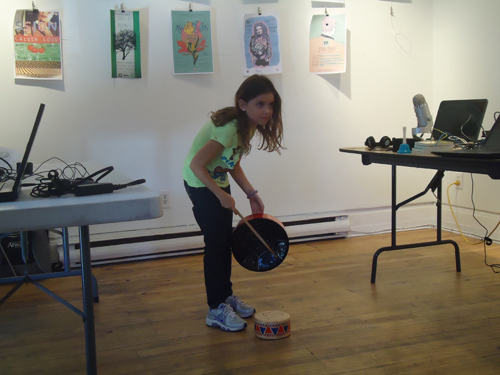 For this workshop, our team included Zsofia Zambo a community educator and local musician, Peter Shaw a theatre educator, and Eric Craven the Digital Literacy Project Coordinator and local drummer. We also had some amazing volunteers from Concordia’s Theatre and Development program. ← Reception for the Ageing-Communications-Media Research Group.